Minna can play four instruments. Lars is on his bike and gone. “Lars is a hit-and-run driver. “Minna places her hands cross her eyes. Minna feels something: Was that hair? Minna slips out to the mirror. Minna with fur on her face. Later we are told “Minna’s fur is a metaphor,” but, importantly, it is not a symbol imposed upon her by the narrative, but an image which rises from her own subconscious to describe her sense of herself at that moment. In fact it is, as Nors points out, either a delusion of the character or the author’s use of surrealism: importantly, we do not have to decide which. That it is the key to the story’s conclusion is what matters. 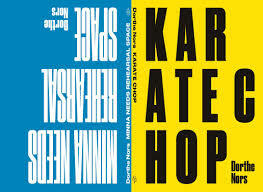 As with ‘Minna Needs a Rehearsal Space’, this gives her stories a depth that belies their brevity. Both the novella and the short story collection (which has a different translator, Martin Aitken, and was published alone in the US) suggest a writer of great talent; hopefully Nors’ novels will follow them into English. 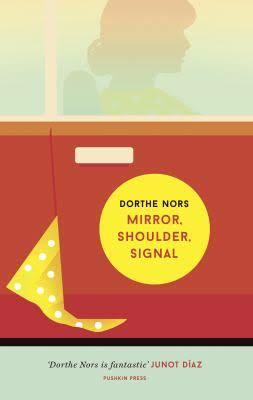 You are currently browsing the archives for the Dorthe Nors category.